It was January 2018 when I finally took the plunge and got the Razer Phone in for keeps! It was available then from 3UK for £600 or SIM Free from Razer for £700. I’ve never put a 3UK SIM Card in the phone and the only evidence that it’s anything to do with them is a splash-screen at boot. Blink and you miss it. It’s got worse and worse. Every device looks the same. 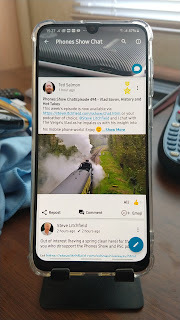 Everyone’s trying to make their phones look like each other, adopting the same features and looks of everyone else’s and creating clones of clones. The devices which stand out as different and interesting are the ones which don’t follow the pack and have a USP. The Razer Phone is one such model and I say long may it continue! The problem with that, of course is cost. In the capitalist world of supply and demand, prices driven down by mass purchase, manufacturers are not daft. Selling lots of phones reduces cost per unit, reducing costs ensures more sales, more sales ensures reinforcement for them that they’re doing it right. Reduce wages and manufacturing costs in the east and the world market has a problem keeping up. All this brings us back to the interesting devices with USPs costing more, but people wanting them because they want something different, which does something different. However, less of them sold means higher prices, less attractive (or out of reach) to many, not enough cash coming back in to continue (often). The pattern has been clear with short-run items and collapse, sell-outs and re-financing of organisations to keep going. Take Wileyfox, for example, HTC jiggling, Moto/Lenovo, Sony divisioning, Marshall with the London - toe in the water, sunk, division closed, to mention a few. Some have tried the crowd-sourcing start-up route, like Planet Computers with the Gemini, Essential Phone - but even they, certainly Essential, seem to have a questionable future after one shot. The mighty Apple, Samsung and Google seem to be the only immune ones, who all seem to know that whatever they charge, people will pay, so they can pitch it accordingly. NextBit Robin is another example of a start-up, bought out by another. In this case, the established Razer. Brand of PC Gaming, with a huge nerd-follow. A guaranteed existing fan-base who would buy anything with the Razer logo on it. And whatever they make, it’s powerful to meet that group's desires! They seem to be doing well with it. As everyone in our circles expect, there was talk of a Razer II the day after the launch of Razer I. But the company have not been drawn on that and have further developed for their phone, designing a laptop that it fits right into. (Google Razer Project Linda for more on that.) They have, after one hiccough, stuck good to their promise of updating the Razer Phone quickly with Android Major OS releases and Security Updates. They have produced and are supporting a very interesting phone, like none other. It’s a solid, big hunk of a metal and glass phone. It’s industrial design oozes class and robustness. It’s unashamedly square-edged, like a brick, all round. 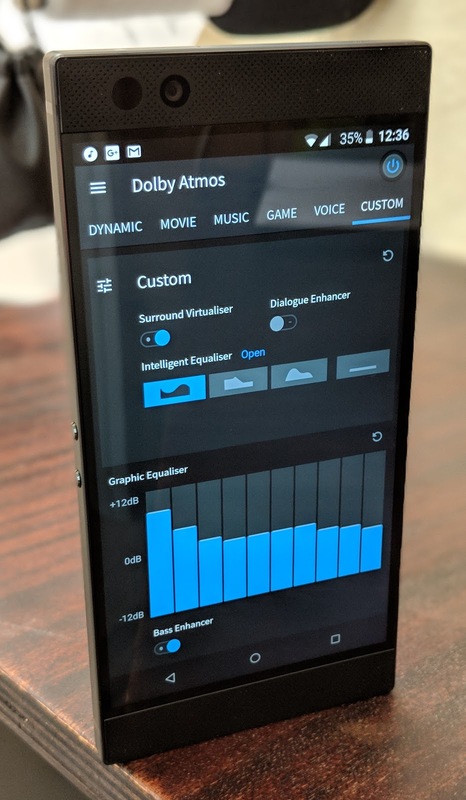 It has the best front-facing stereo speakers of any smartphone available to buy, past or present, with cinematic 3D stereo sound (which is very clever) and Dolby Atmos built-in. It has a 48hr+ battery with 8hrs+ SoT. It has a blazingly fast Snapdragon chipset and oodles of RAM. It flies. It has a bright, vibrant and super-sharp 1440p capable 16:9 LCD screen, a perfectly good enough camera for most, a very responsive fingerprint scanner and Nova Launcher built-in to the ROM, standard, which was a masterstroke to keep it clean and Vanilla. It’s made for Gamers of course and has a super high 120Hz screen refresh rate, which you really can see working after a while in use and trying to go back to 60! Though it must be noted that this is auto-variable, so only kicks up when it needs to. Also pioneering was the Quick Charge 4+ which is just incredibly fast when supplied charger is used. Of course, you don’t have to use it! So, as I said, this is the device which retains my interest the most - and has done for the majority of the first six months. I do personally apply a lot of emphasis in my phone choice on the sound it produces, so in that respect, it’s a no-brainer, but it’s also a blazingly fast flagship which compromises on almost nothing, with enough interesting, different and unique features about it, for the love affair to continue. I’d rather have 128GB of storage, but I can live with 64. I have big hands and middle-aged eyes. I’m a big bloke and have big pockets. It all fits for me, personally and there’s enough about it to keep my interest. I only hope that Razer remain good to their word keeping it up to date. With Project Treble now installed, there’s no reason why not. The only question is whether or not enough people bought these devices for them to consider it an ongoing concern and not close the division based on sales, investment and turnover, returning to laptops and the other Gaming staff they do. Fingers crossed!